"We want to make it easier for everyday scientists—who may not have the specialization required for other 3-D printing techniques—to make 3-D models of whatever human tissues they're studying," said first author Michael Hu, a bioengineering Ph.D. student at the UC San Diego Jacobs School of Engineering. "The models would be more advanced than standard 2-D or 3-D cell cultures, and more relevant to humans when it comes to testing new drugs, which is currently done on animal models." 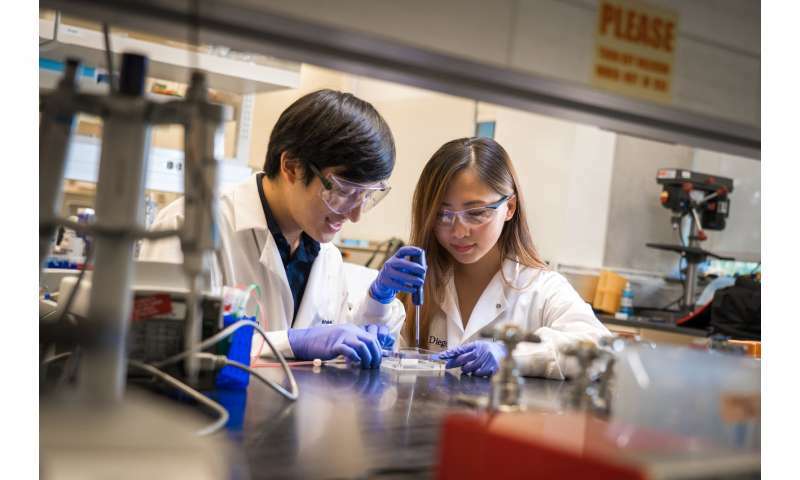 Finding the right materials was one of the biggest challenges, said bioengineering undergraduate student Xin Yi (Linda) Lei, a co-author on the study. "We wanted to use materials that were natural rather than synthetic, so we could make something as close to what's in the body as possible. 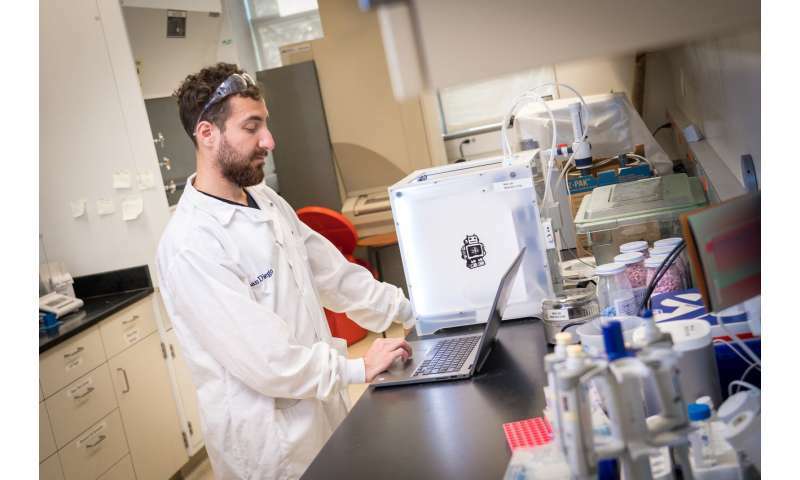 They also needed to be able to work with our 3-D printing method." "With this type of strategy, we can start to make complex, long living systems in an ex vivo setting. In the future, this could perhaps supplant the use of animals to make these systems, which is what's being done right now," said Mali.